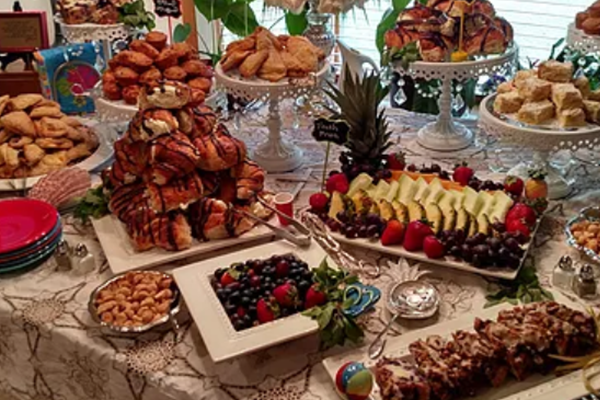 Catering events come in an endless array of configurations with varying degrees of required service. 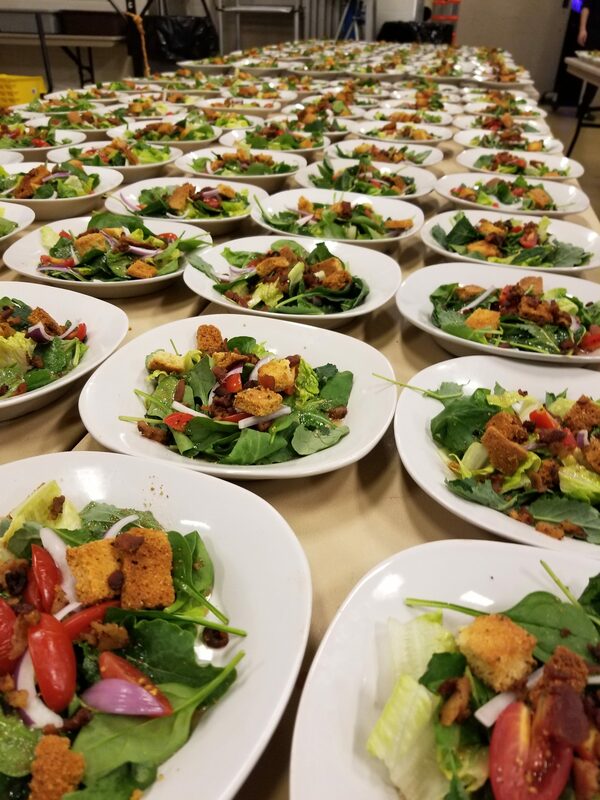 They can be as simple as delivery of food, or as complex as fully staffed and served meals with complete linen, china and glassware service. The following pricing information is provided to help with estimating costs for your event. Specific pricing may vary. Paper plates, disposable cups, fork/knife/napkin rollup and disposable serving utensils. Three Little Pigs—black forest ham, pork tenderloin, spiced bacon and apple-apricot chutney. Chicken Caponata —grilled chicken breast, sun-dried tomato tapenade, provolone cheese spinach and tomato. Cranturkey Croissant —cranberry turkey salad and field greens. Served with Greek pasta salad, Waldorf slaw and relish picks. Buffalo Beef—Tender Beef tossed with buffalo hot sauce, blue cheese and green onions. Brie Bruschetta— Roasted garlic, spinach, sautéed Portabella mushroom, brie and toasted walnuts . Southwest Turkey Club—Roast Turkey, house made guacamole, spiced bacon, tomato, field greens and salsa mayo. 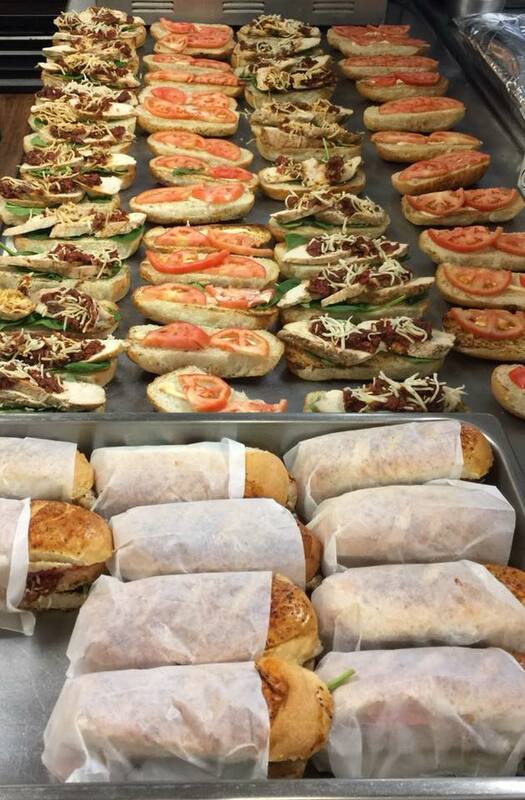 Choose any three sandwiches from our daily menu and we’ll make a buffet! For $1.50 more per person you may add a simple dessert tray of cookies and bars. Ice is available for $2.00/bag. *Additional delivery fees may apply to areas outside of the Paducah city limits. Heavy duty, clear disposable plates, cups, utensils, and serving ware. Artisan Meatloaf and Herb Roasted Chicken Served with Country Style Green Beans, Creamed Corn and Garlic Mashed Potatoes. Choose from Traditional, Vegetable, or Portabella Florentine lasagna; paired with Italian Chicken Stir-Fry, a stir-fry of grilled chicken, sweet peppers, red onions, oregano, pesto and garlic. Served with Seasonal Sautéed Vegetables and Garlic Bread. Herb Roasted Chicken, Beef Medallions with Cream Sherry Mushroom, and Campanelle Pasta Primavera. Served with honey-bourbon carrots, garlic mashed potatoes and country style green beans. Heavy duty, clear disposable plates, utensils, and serving ware. 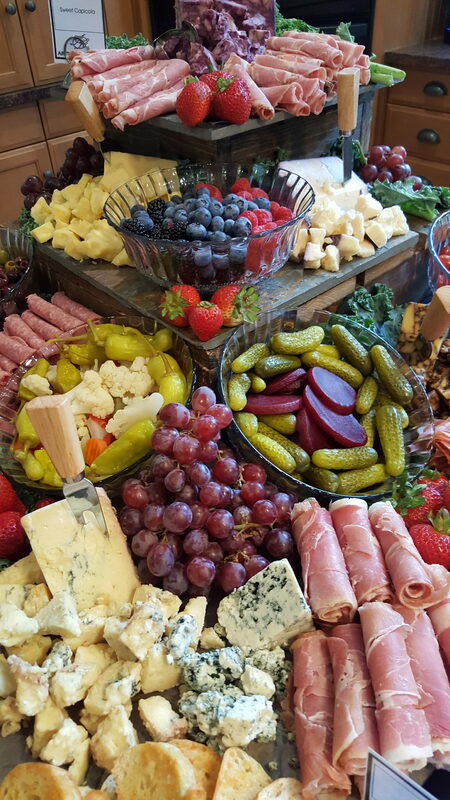 Charcuterie Display: An eye-catching display of assorted cured meats, pickled vegetables, fresh berries, gourmet cheeses, breads and crackers. Baby Beef Wellingtons: Tender beef with a blue cheese spread, baked in crispy phyllo. Mediterranean Flat Breads: Our home-made, roasted garlic hummus with Kalamata olive and cherry tomato on a mini flat bread. South West Tortilla Rollups: Seasoned cream cheese filling rolled in a soft tortilla and finished with red pepper jam and garnished with a cilantro leaf. Duck and Bacon Won tons: Fried dumplings with a creamy, duck, bacon and corn filling. Mango Salsa: Fresh mango, cucumber, red sweet peppers with ginger and lime. Served with fresh fried tortillas. Bacon and Gouda Meatballs: Hand-made bacon and gouda meatballs in a bourbon glaze. Three Little Pigs: Appetizer sized sandwiches with Black Forest ham, spiced bacon, roasted pork tenderloin and apple-apricot chutney. Tender Melts: Appetizer sized sandwiches with tender beef medallions, sautéed portabella and onions with horseradish sauce. Bacon Wrapped Chili Chicken Bites: Bite-sized pieces of chicken breast, wrapped in bacon and tossed in a brown sugar-chili powder blend. Lump Crab Cakes: Served with roasted red pepper tartar sauce. Stuffed Mushrooms: Spinach and feta filling topped with shredded Parmesan. Tomato and Basil Flatbread: Tomatoes, basil and garlic on a velvety flat bread. 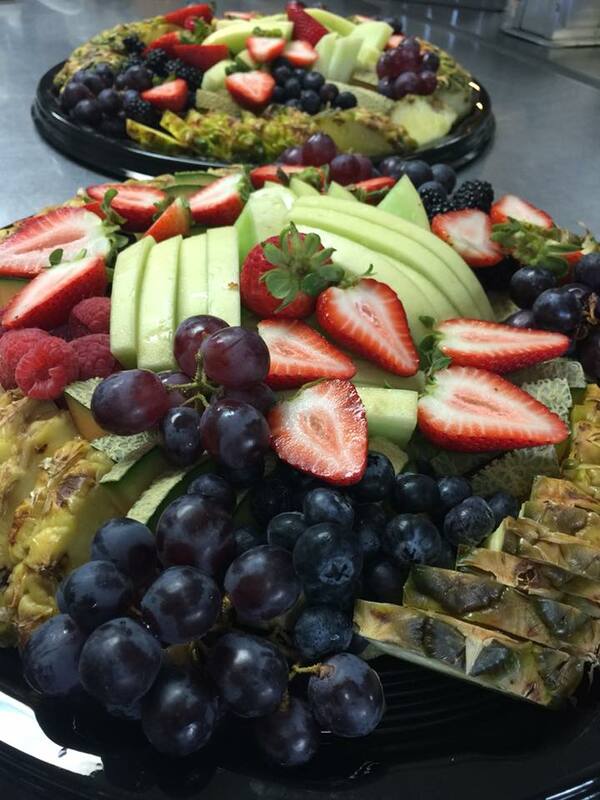 Cheese Tray: Assorted cubed cheeses and berries. 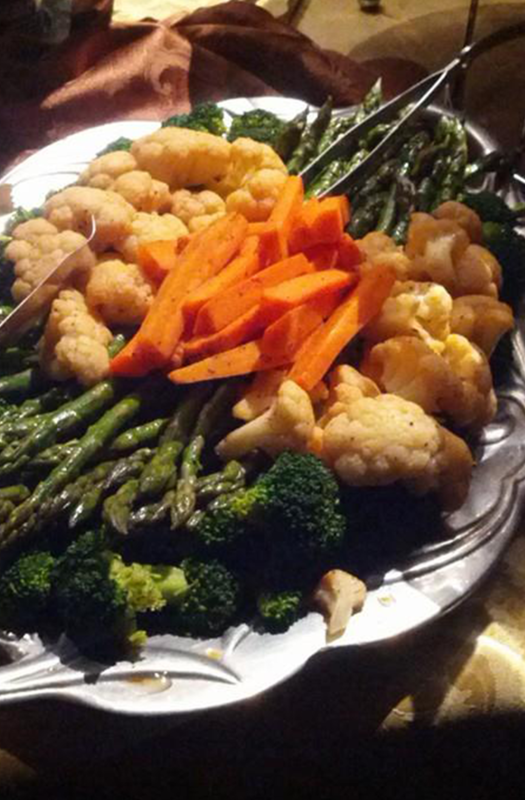 Seasoned Vegetable Display: Broccoli, cauliflower, carrots, sweet peppers, and asparagus; blanched and seasoned with our “Fowl Play” seasoning. Artichoke and Spinach Dip: Served with fresh fried tortillas. Premium Gourmet Cheese Board: Assorted gourmet cheeses, berries and baked brie. Roasted Shrimp Cocktail: Season with our New Orleans seasoning blend, roasted and chilled. Served with our roasted red pepper cocktail sauce. Sweet Treats: Assorted bar bites, mini cookies, and mini cupcakes. 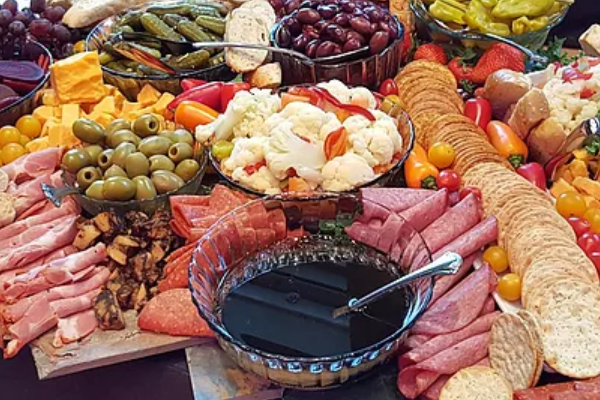 These are ideal additions to heavy hors d’ oeuvres buffets. 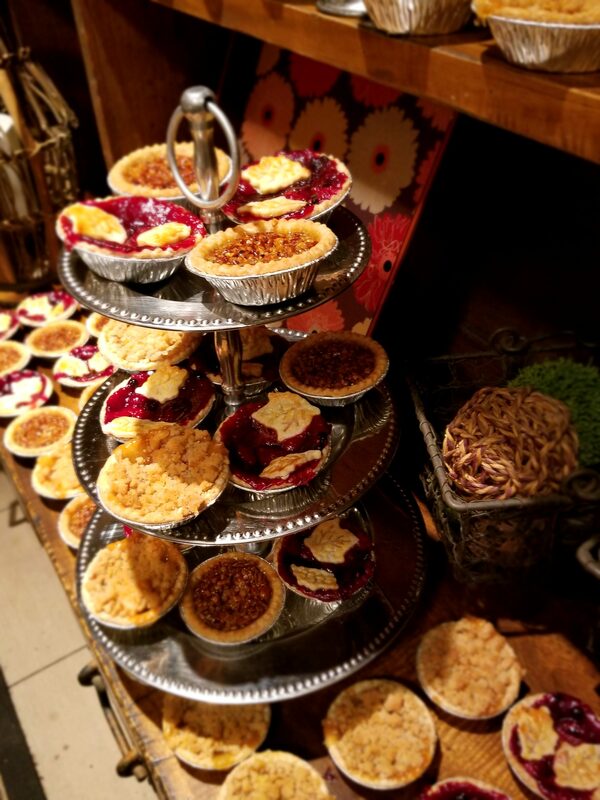 Pies, Trifles and Cake: Choose from a wide selection of individual pies, trifles or cake by the slice. These are ideal additions to dinner meals. 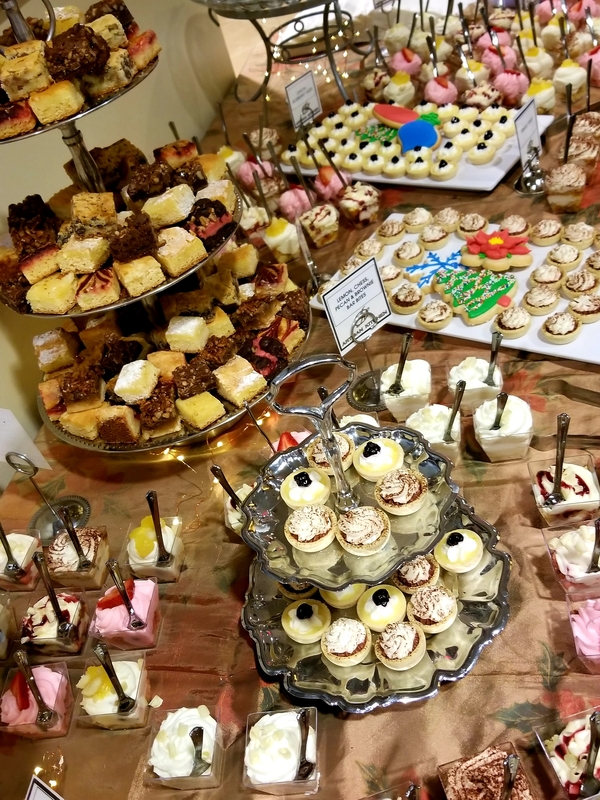 Individual Tortes: Individual specialty cakes with decadent toppings and garnishes. These are ideal additions to dinner meals. Artisan Kitchen offers a fully licensed and insured alcoholic beverage catering service. All alcohol served, by law, must be provided and transported by Artisan Kitchen. Artisan Kitchen provides S.T.A.R. certified bartending staff to insure guests are legally and appropriately served. Linen Service: A Basic 120” round table cloth generally costs around $19.00. A basic cloth napkin generally costs around $.85/each. We work with a number of rental companies, and pricing can vary greatly depending on the final selection. Pricing will include all setup and breakdown of rented linens.